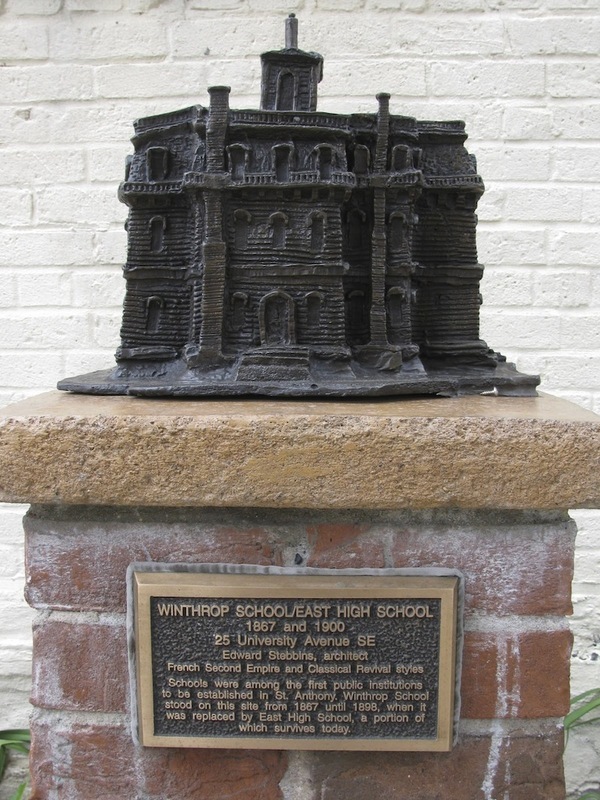 Schools were among the first public institutions to be established in St. Anthony and included Winthrop School, which stood on this site from 1867 until 1898, when it was replaced by East High School. 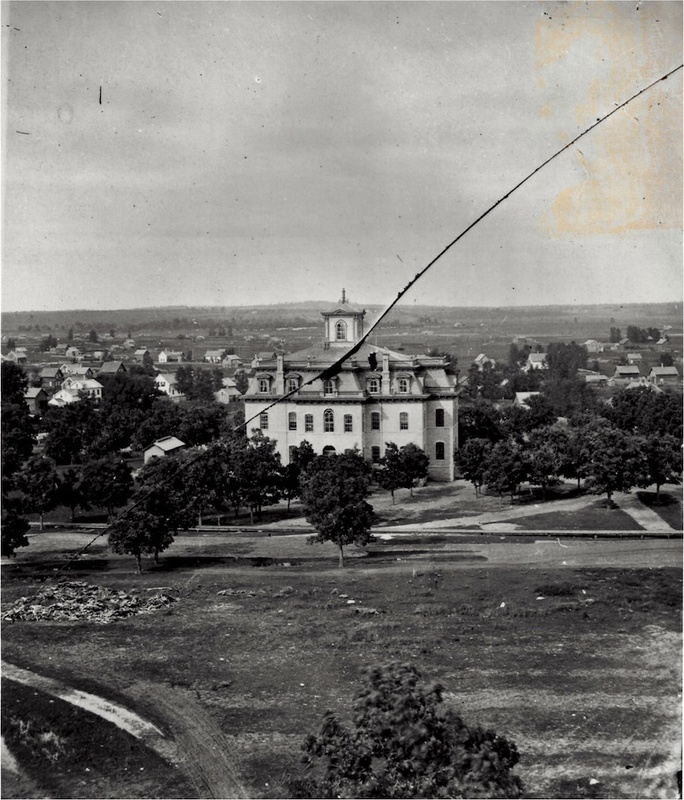 In time, East High was abandoned as a school. Most of the building was razed in the 1950s to make way for the Eastgate Shopping Center. 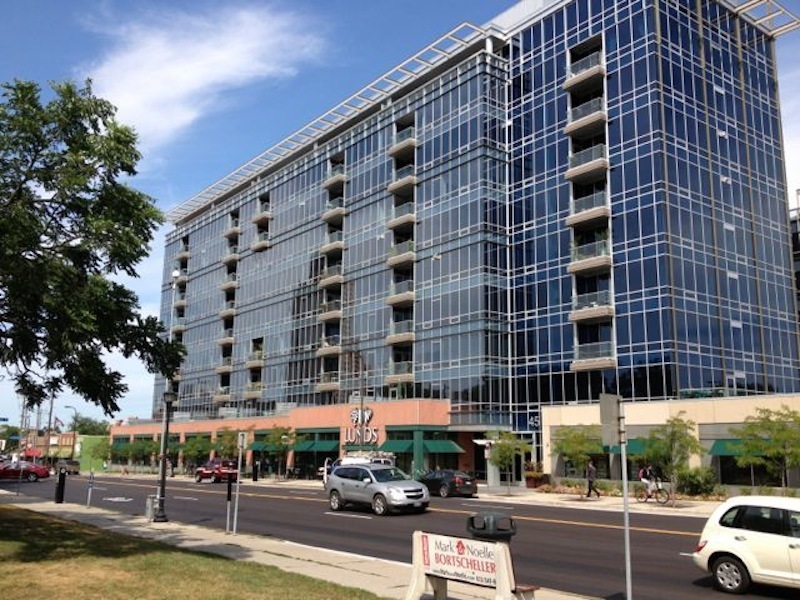 In 2007, the surviving portion of East High, which served as business offices and artists’ studios, and Eastgate Shopping Center itself were also razed to make way for current development. 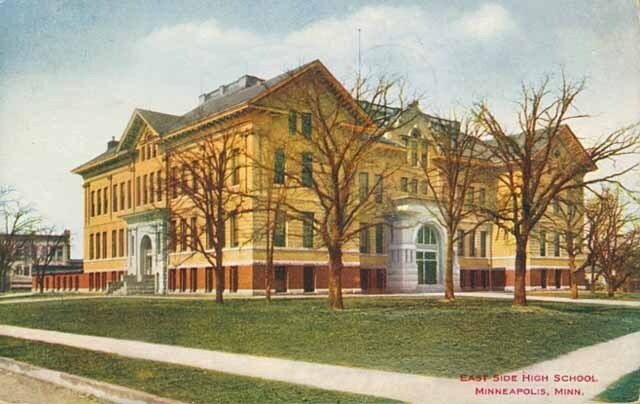 Marcy-Holmes Neighborhood Association, “Winthrop School/East High School (1867 and 1900) ,” Minneapolis Historical, accessed April 22, 2019, http://minneapolishistorical.org/items/show/92.